Please Click "HERE" for directions to Stan's Hardwood from other Northern Colorado Cities. We also offer a wide variety of Wooden Christian Wall Crosses for sale online at Walkers FaithWorks or from within the Wood Shop at Stan's Hardwood at 617 1St Ave in Longmont, Colorado! Walkers FaithWorks Where to Buy a Christian Cross Online. Wooden Wall Cross Designs Handmade in the USA. 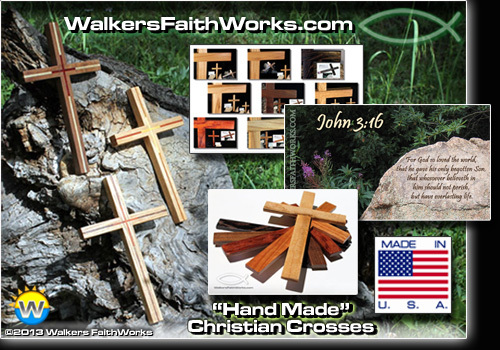 Walkers FaithWorks is the Online Sales Showcase to Buy Handmade Christian Cross Designs of the Walker Family Hardwood Business (Stan's Hardwood) located in Longmont, Colorado.